“Select Amounts” is kind of a weird instruction. 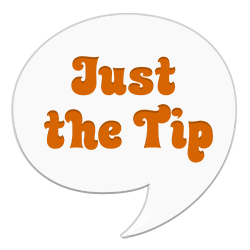 To send cash, you tap the relevant bills to add up to the desired whole number (no change!) you wish to send, then tap “Pay”. Within seconds, and without any further verification or chance of cancelling, your money will be flying off to someone else’s bank account. As your money wings away, there’s even a ridiculous animated image of dollar bills fluttering down. No matter how long you stare at this image, it won’t move, because it’s just a still. Feel free to cash $PBones to see the full animated version though. I’ve previously written that you do not have to make an Apple Watch app. 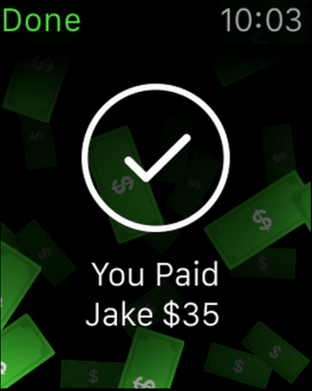 However, good third-party apps for the watch are certainly possible.2 The Square Cash watch app is definitely well made, and it offers functionality I’ll describe as at least potentially useful, which means it’s better than most Apple Watch apps to date. 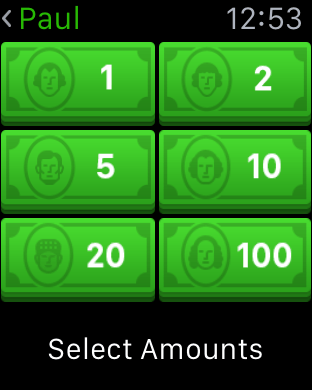 Perhaps the best thing the Square Cash Apple Watch app does, however, is advance the cause of gender equality. [Jackson] also hated paper currency and vetoed the reauthorization of the Second Bank of the United States, a predecessor of the Federal Reserve. I think it’s the exclamation point that really gets me. Oh jeez. I honestly try to avoid highlighting this sort of depressing idiocy. I figure it’s best to let it die quietly in the dark, rather than live and spread in the light. Some things are just so feebleminded that they must be skewered, however, and this is one of those things. So, how dumb are you, Jimmy Pecoul? Let me count the ways. While this is wrong, I wouldn’t be surprised if a not-insignificant number of people believe this, and think that both Alexander Hamilton (on the $10 bill) and Benjamin Franklin (on the $100 bill) were presidents. These are two entirely different women, who are famous for their work winning progress in different areas (abolitionism for Harriet Tubman and civil rights activism for Rosa Parks), and who were active nearly a full century apart. Rosa Parks did not “stand up to bullies on a bus”. Rosa Parks defied a despicable law and set off the Montgomery bus boycott, which helped bring about the end of segregation in America. I like to imagine how this might go. Jimmy would have to avoid just about every ATM in America, for one thing. The interactions with cashiers, waiters, bartenders and the like ought to be something to see as well. I’d give him a week managing to boycott the bill, and that’s being generous. I doubt even one person in the entire country would stop using yuppie singles if the picture on them changed from Jackson to Tubman. Most? MOST? Jesus Crist. Each button features a pretty good portrait of the corresponding man who appears on that denomination’s bill, but Andrew Jackson on the $20 doesn’t look quite right. The pixel version has managed to turn that dour frown upside down. Not bad! Lest you have any lingering doubt as to the true identity of this image, Square has confirmed that the image does indeed represent Tubman, with a spokesman stating “We put Harriet Tubman on the $20 bill because she is an American hero”. Well done. It’s a small gesture, but it’s a good one nonetheless. Update (August 20th, 2015): Square’s creative director Robert Anderson used his own accidental invention (the @-reply) to link me to a higher resolution version of the Tubman image. He also confirmed that the 1895 portrait seen above was indeed the inspiration for the cartoon version. Neat! 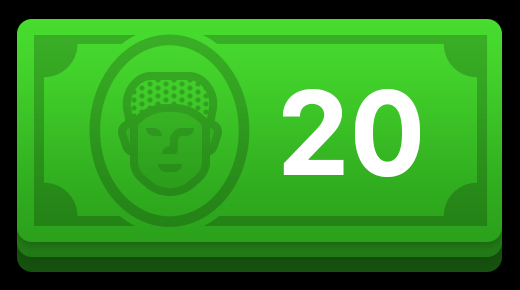 Update (April 20th, 2016): Tubman’s gonna be all up in the club, man!